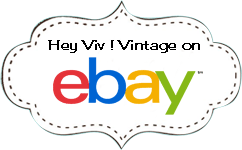 Hey Viv 50s Costume and Retro Clothing Discount, Bulk Buying, and Purchase Order Policy. Customers, Costumers and Resellers - We offer an automatic 10% discount on store orders of $65 and over. All items are included, even sale items. This discount program allows you to mix and match quantities, sizes and colors. Some items such as the sheer scarves offer an additional "Buy 12 and get a 5% discount" built into the listing. Check the top of each listing for the bulk discount message. Orders placed seperately can not be combined for the discount. Order must ship to one address. We occasionally offer other discount programs and coupon codes. Coupon Codes are single use only. We reserve the right to change or update these programs without notice. The group discount is set up for groups who won't make the minimum because everyone is purchasing their own costume. We give you a code that can be used by each of your members when they place their own order. (One coupon per shipping address.) We even email you a printable flyer for you to fill in the code, print and pass out to your cast. Contact us for more information and to get your coupon code and flyer. Please read through the following information regarding purchase orders. Email viv@heyviv.com or call 1-866-543-9848 with any questions. We accept purchase orders from corporate, educational, non-profit and government organizations pending a credit review by our finance and accounting staff. Choose"Pay by Money Order/Purchase Order" in the checkout. Payment is due 30 days after the shipping date and may be paid via company check, money order, or credit card. Please keep in mind that your organization may need time to process the purchase order paperwork. So allow extra time for your order to be processed and shipped. Orders shipped within the continental United States can take up to 5-6 days for delivery. At least one contact name, phone number and email. "Net 30 Days" on the purchase order. Items will only be delivered to the organization that generates the purchase order. We reserve the right to refuse any purchase order for any reason. We cannot accept international purchase orders. All payments must be in U.S. dollars. We cannot accept purchase order numbers over the phone. We cannot process an order until we have received a signed purchase order. We cannot accept your purchase order unless you agree to these terms.